Folding chairs let you expand your seating options and use space more efficiently. Hertz Furniture&apos;s models come in a wide array of materials, colors, upholsteries and styles. Specialty items like logo chairs add fun and bolster school and team spirit. If you&apos;re looking for folding chairs that are durable, classy and budget-conscious, Hertz Furniture is the place to go. Lightweight and stackable folding chairs are super-convenient and easy to transport. 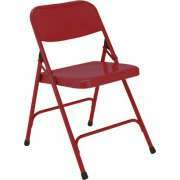 Choose from all-steel folding chairs, tablet-arm, and plastic folding chairs. 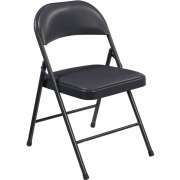 Should you get padded folding chairs? That all depends on what they are being used for. 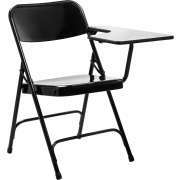 Where is it appropriate to use foldable chairs? 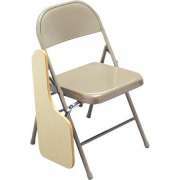 Folding chairs will come in handy whether in a house of worship, school or office. 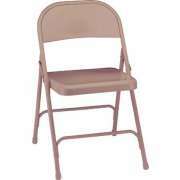 They offer the absolute easiest way to provide temporary seating to students, congregants or employees. Ran out of seats in the auditorium at the last minute? Used up all of your banquet chairs and still have tables to fill? Expecting a lot of guess at this week&apos;s service and don&apos;t have enough church chairs? Folding chairs are set up and ready to use in a matter of seconds. You never know when this budget-friendly solution will come in handy. 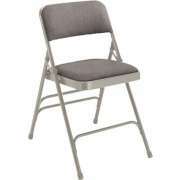 What kinds of folding chairs are there? We have models from leading manufacturers including OFM and National Public Seating. 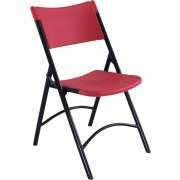 You can choose between metal, wooden and plastic folding chairs. Metal models come in a variety of styles and colors and are super strong. Some of our metal folding chairs can hold over 400 hundred pounds. They come with various degrees of reinforcement with either a double or triple brace to strengthen the frame. Should I get plastic or metal folding chairs? Plastic fold up chairs offer a more lightweight option. They are often the choice for more formal occasions such as weddings and other ceremonies. Models are also available which give you the strength of metal with the lighter weight of plastic. For this winning combination, choose metal-framed foldable chairs that have plastic seats. 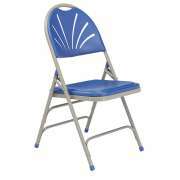 Blow molded folding chairs offer the utmost in durability and strength. 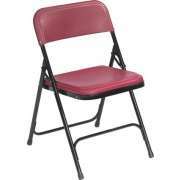 Their large plastic seats feature exceptional resistance to just about anything you can throw at them. Most stains will wipe off easily. Unlike metal, they won&apos;t get rusty or corrode over time. Blow molded plastic doesn&apos;t fade in the sunlight or become damaged by the rain. 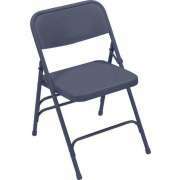 What are the most comfortable folding chairs? 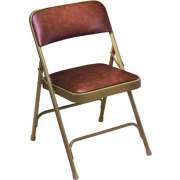 If you are doubtful about the comfort that temporary seating can offer, you will be pleasantly surprised by the softness of padded folding chairs. Cushy foam padding will keep your audience, guests or colleagues comfortable throughout the service, performance or training session. You can even coordinate the upholstery of your fold up chairs to match your institution&apos;s decor. 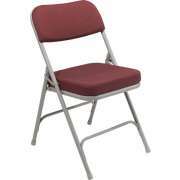 Padded folding chairs come with cushions of various thicknesses to suit your preferences and budgetary needs. Have an unexpectedly large class? Need to hold a professional training session in an big empty room? Foldable tablet-arm chairs provide an instant writing surface for all participants. 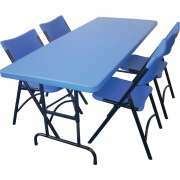 They offer the convenience of a temporary seat that is easy to set up, with an attached work surface that is available whenever you need it. Tablet-arm chairs turn any room into a classroom or training room. Classy fold up chairs look great at ceremonies and services. Some of our models feature built-in or optional ganging so you can ensure that the chairs can be arranged in neat and orderly rows. 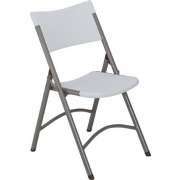 White folding chairs are perfect for weddings and other formal occasions. They combine the elegance of white with the convenience of temporary seating. What makes good sideline seating? Folding chairs aren&apos;t just for elegant occasions, they are also an excellent way to showcase your school pride at sporting events. We offer padded logo chairs which can seat the whole team in style. With comfortable custom logo chairs on the sidelines, athletes and coaches can relax as they prepare to get in the game. Whatever the occasion, Hertz Furniture can help you choose the perfect folding chairs. You are sure to find a number of excellent options whether you prefer padded or unpadded, plastic or metal, or something in between. Many of our models come with a complimentary extended warranty so you can be sure to enjoy your folding chairs for many years. 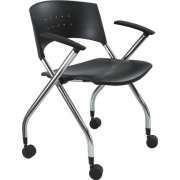 Overwhelmed by all of the amazing foldable chairs we have? The experts in the Hertz Design Center will be happy to provide complimentary project planning advice to help you make the best choice.